UNITED NATIONS, April 28. /TASS/. Russia has decided not to veto the UN Security Council’s resolution on Western Sahara as it recognizes the need to continue the work of the international organization in the region, Russian Deputy Permanent Representative to the United Nations Vladimir Safronkov said on Friday. On Friday, the UN Security Council extended for another six months the United Nations Mission for the Referendum in Western Sahara (MINURSO). The document, drawn up by the United States, was backed by 12 countries. Russia, China and Ethiopia abstained during the vote. In its resolution, the UN Security Council called on the parties to the conflict, Morocco’s authorities and the Polisario Front, which is seeking the region’s independence, to resume talks under the UN auspices without preconditions to resolve the crisis. "We did not veto the resolution as we recognize the value of continuing the work of the UN mission in Western Sahara," the diplomat said. However, the process of drafting the resolution was not transparent and a number of suggestions by other UN Security Council’s member-states remained unanswered, he noted. "As a result, the text is unbalanced." Safronkov stressed that the UN and its mission on holding a referendum in Western Sahara has an exclusive stabilizing role, especially for creating a favorable background for resuming a dialogue between Morocco and the Polisario Front. "Joint efforts are needed to launch a negotiating process," he said. Lavrov calls Tillerson's remarks about China-Africa relations "inappropriate"
The conflict around Western Sahara is one of the longest in modern history. Sahara’s provinces used to be controlled by Morocco’s sultans, and during the colonialism era and until 1975 these territories were owned by Spain. 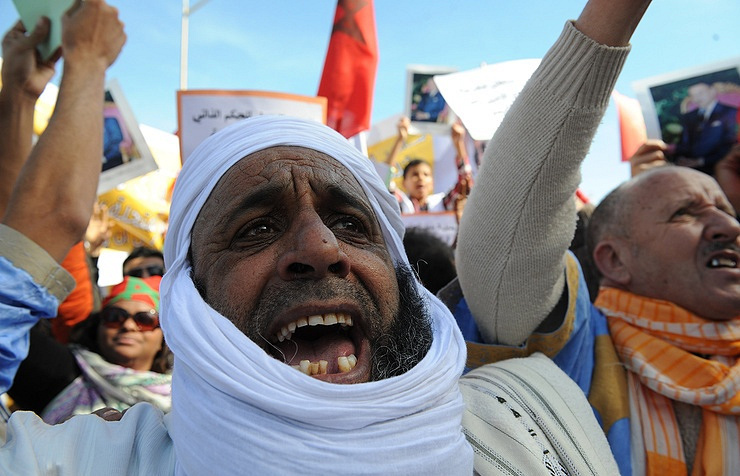 After Madrid’s refusal to lay claims on Western Sahara Morocco’s troops were deployed there. Simultaneously, the Polisario Front backed by Algeria started fighting and declared an independent Sahrawi Arab Democratic Republic. Morocco considers Western Sahara as its territory and admits granting it only a broad autonomy as part of the kingdom. The combat actions in the conflict zone continued until 1991 and stopped when a UN mission was sent to the region. Since June 2007, Morocco and the Polisario Front have held a series of talks on the Western Sahara issue, but to no avail.